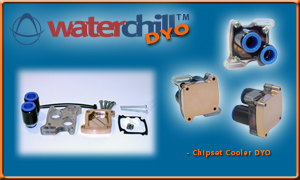 The WaterChill Chip set cooler allows the PC enthusiast to effectively eliminate all heat related performance barriers of the motherboard chip set. By integrating this component in power PC systems seperatey or as part of a WaterChill kit te road is paved to configure the fastest PC on the planet. 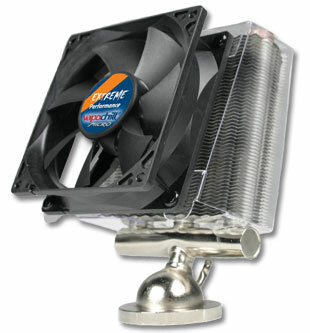 Massive overclocking potential through an exceptional elimination of chip set heat dissipation. 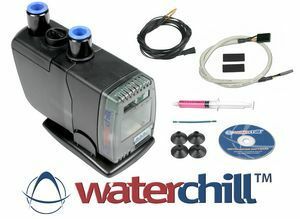 Can be fully integrated with both WaterChill and other third party water cooling solutions. The physical layout and mounting system offers a universal application of the cooler on all Chip sets used. 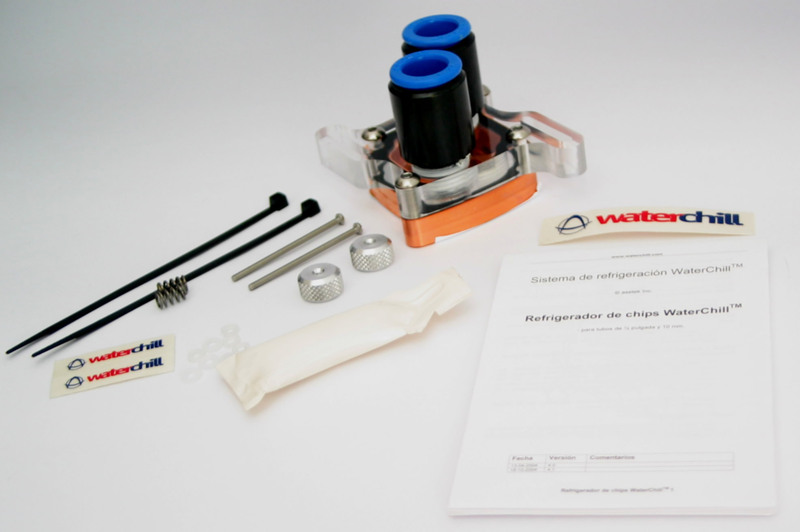 Push on fittings for tool-less and easy assembly of tubes on the chipset cooler. Easy mount of the block on motherboard with finger screws. An extremely good plainness and surface smoothness. Pure copper base plate - providing best possible heat removal ratio. Optimized tube fittings for maximum flow. ALL fittings and mounting accessories included in standard package.